Order your pink cyclamen plant delivery Sydney wide via our online florist shop or by calling the team on 1800 66 66 46. If you would like to send a cyclamen plant outside Sydney, please contact our team directly on 1800 66 66 46 for a custom quote and availability. Find them a light position, without too much direct sunlight. Too much heat in a sunny window will encourage early dormancy, while growing in light, but cool conditions may see them continue to flower longer. 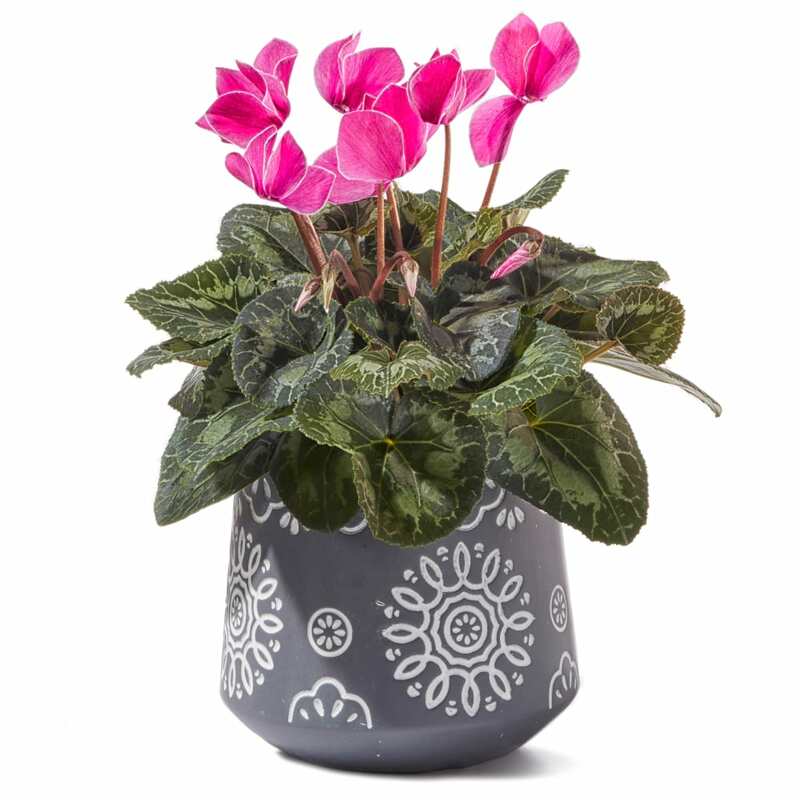 Cyclamen don`t like freezing temperatures, so if you have your pot in a sheltered spot outside, bring them inside on frosty nights. As far as watering goes, they don`t like much - the worst thing is a constant dribble of water. Keep them moist, but not dripping wet. Once a week sit the pots in a tray of half an inch of water and leave them overnight. Then the whole root ball gets a good drink and the compost rehydrates. Drain them and leave them for another week or so without water. If water collects in the base of the saucer or pot-holder, tip it out and don`t water again until the compost feels fairly dry. Dead head and remove any dead or dying leaves with a sharp tug to the stem. 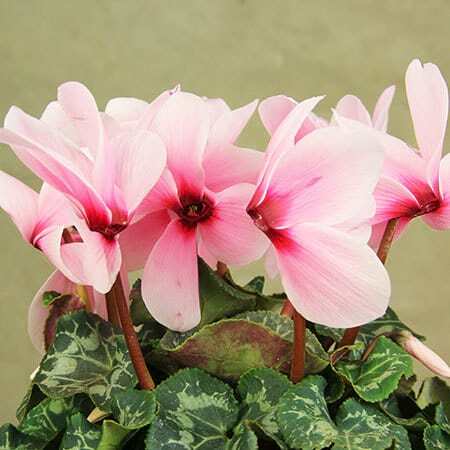 Cyclamens come into growth in the autumn, growing through the winter and spring and then going dormant while there is no rain and intense sun in the summer. Stop watering when they stop flowering and let the leaves go yellow and wither. Then put them somewhere cool and dry (but not totally dry as the compost is then tricky to rehydrate), for the summer. While plants are dormant, repot them into a slightly larger pot, teasing out the roots. You can store them outside in the summer, but bring them into the house again before the frosts begin. When you see regrowth, start watering again. Soak the pot well. If no growth shows when you water it, wait for shoots to appear before watering again.